Ben Mattlin lives a normal, independent life. Why is that interesting? Because Mattlin was born with spinal muscular atrophy, a congenital weakness from which he was expected to die in childhood. Not only did Mattlin live through childhood, he became one of the first students in a wheelchair to attend Harvard, from which he graduated and became a professional writer. His advantage? Mattlin’s life happened to parallel the growth of the disability rights movement, so that in many ways he did not feel that he was disadvantaged at all, merely different. 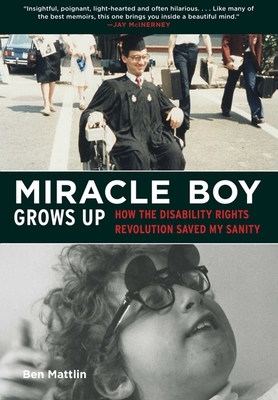 Miracle Boy Grows Up is a witty, unsentimental memoir that you won’t forget, told with engrossing intelligence and a unique perspective on living with a disability in the United States.